Mara Rockliff, is a talented and prolific children’s book author who lives here in Kutztown, PA. She sent me a note to share with illustration students about a scholarship opportunity from SCBWI. That is the Society of Childrens Book Writers and Illustrators. They have grants for students to attend their NYC or L.A. conferences. 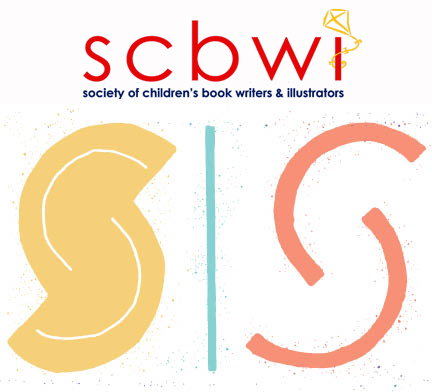 Details on the SCBWI student scholarships are here. Next deadline is Nov.1. By the way, a number of Mara Rockliff’s chapter books (written under the pseudonym Lewis B. Montgomery) have been illustrated by a Kutztown U grad, Amy Wummer. A portfolio of Amy’s artwork can be seen here. artwork by Amy Wummer ©2011, from her online portfolio, link above. 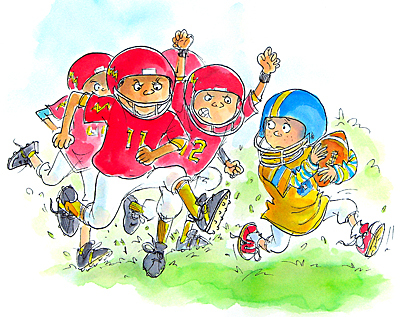 Beth Krommes recommended joining SCBWI when she was on campus last month. I must admit I am no longer a dues-paying member of SCBWI. I did attend their NYC conference one year, and I’ve also participated in the portfolio day SCBWI holds at the Society of Illustrators. Personally, I found the Society of Illustrators event more worthwhile. The conference I attended was at the Roosevelt Hotel and for an added fee I was able to set up an easel on a table. I felt it was overcrowded and claustrophobic, like a science fair on steroids. At the Society of Illustrators a limited number of artists participated. Illustrators could leave a portfolio, cards and other promotional material on a table. Then artists leave the premises for a couple of hours. When you come back, you count your promo cards to see how many have been taken and look. Ideally, an art director has left an encouraging word or requested a meeting. A nice thing about SCBWI is that they have an active Eastern PA chapter. Here is a page where you can check out local member/illustrator’s work. SCBWI has much info, (like market tips) that is password protected for members only, but they do also have useful info for interested visitors on their main site. Another valuable site for anyone interested in illustrating children’s books is the Children’s Book Council. 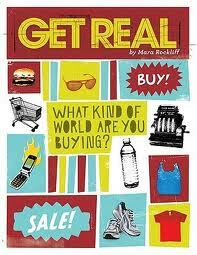 They are a trade group composed of many of the best and most reputable publishers. I find their members list page is especially worthwhile. That’s where you will find if publishers are even considering submissions. Like SCBWI some of the CBC site is password protected, but much of the info is freely available. Next > Call for Entries KUTZTOWN B’day logo.